It's another Bourjois lip product today! I couldn't resist, I'm sorry! Today it's a Rouge Edition lipstick in the shade 11 'Fraise Remix' which is a beautiful bright coral pink! The pigmentation of this is insane - the picture above is just one swipe across my hand! The colour is really vibrant which the picture doesn't do justice to... I just couldn't get it to show up the way I wanted it to, but it's not far off of what you can see. The finish is nice and glossy, although for me it definitely accentuates the dry patches on my lips so I have to pop a layer of lip balm on before applying it to avoid looking flakey and a little bit gross. I feel like this would be the perfect summer shade for so many skin tones. 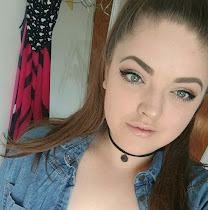 I'm normally really pale and it definitely suits my pale skin and gives a really stand out look, however I've recently jumped into the world of tanning and it looks stunning with tanned skin too! Definitely an all rounder. I think these are great and at £7.99 each they are the perfect summer shade to just throw in your bag and run with! Have you tried the Bourjois Rouge Edition range?